Most of the debate about financial reform has focused on the Goldman case, derivatives, how to deal with failing institutions, and what constitutes “too big to fail.” These are all important issues. Yet none is as important as the effort, led by Rep. Alan Grayson and Sen. Bernie Sanders, to draw back the curtain on the Federal Reserve. Yes, we have learned a lot in the last year about the private “shadow banking system” that helped bring down our economy. 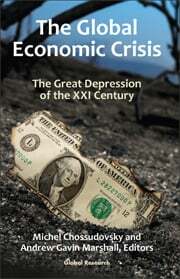 Yet no entity was more central to the failure of regulation that helped to create this crisis, nor more central to keeping solvent the banks that enabled it, than the Fed. Through guarantees, equity investments, debt purchases and other methods, the Fed probably spent upward of $1 trillion to resuscitate the banking system. Remarkably, at a time when “transparency” is the favorite word of all reform prescriptions, what still remains unclear, a year after the massive bailouts, is who got how much. Given the vast sums involved and the unusual nature of the Fed’s activities, especially in contrast to its historical (and more prosaic) role of controlling monetary policy, there have been calls for greater transparency at the Fed. One proposal, which varies in the details depending on who’s advancing it, would essentially extend the authority of the Government Accountability Office to cover the Fed. In essence, the GAO would be able to audit the Fed. There are many reasons to require greater transparency at the Fed. One is its conflict-ridden governance structure. Another is the tangled web of contradictions surrounding the AIG bailout. Last, and most important, is that the Fed over the course of this crisis has demonstrated that its influence goes far beyond the issue of monetary policy. In monetary policy—controlling the supply of money—the Fed is constrained by reasonably well-understood policy levers that have a macro impact, and its decisions are rather evident in short order. Now, in contrast, the Fed is engaging in fiscal policy—spending money—and in fact has become the single largest fiscal actor in the U.S. economy, dispensing hundreds of billions of dollars to private parties. In doing so, the Fed is picking winners and losers. Why Goldman but not Lehman? Why guarantee the debt of some companies but not others? The Fed has enormous discretion in its decisions. It is entirely appropriate to demand that they be carried out with greater transparency and be subject to greater oversight. Not surprisingly, the Fed and Treasury Secretary Tim Geithner are pushing back. Put aside for a moment Geithner’s apparent conflict of interest here (any oversight would presumably examine many of his decisions as president of the New York Fed). Take him at his word, which is that subjecting the Fed to any oversight would create a risk of politicization and a loss of integrity and independence. The reality, of course, is just the opposite. The very fact that the actions of the Fed are shrouded in secrecy is what has created the impression that politics have played a part in its decisions. The old maxim that sunlight is the best disinfectant is no less true for the Fed than it is for any other public entity. Indeed, recently revealed evidence helps prove that maxim. In 2004, former Fed Chairman Alan Greenspan sought to keep from the public internal warnings of a housing bubble—or indeed any of the board’s discussions. “We run the risk, by laying out the pros and cons of a particular argument, of inducing people to join in on the debate,” he said. “And in this regard it is possible to lose control of a process that only we fully understand.” Here is proof, if we needed any, that the suppression of information about the logic behind Fed actions can have disastrous consequences. Had that dissenting point of view been made public, then the groupthink mentality that overtook most of the regulatory and banking communities might have been shaken slightly. 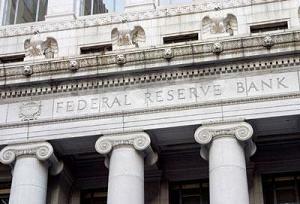 The Federal Reserve has sought to acquire additional powers as the reform of the financial system has moved forward. Most important, it seeks to be first among equals as the systemic risk regulator—serving as the early warning system for future debt shocks that will almost inevitably arise. Yet at the same time it seeks to avoid even minimal scrutiny of its past performance. It seems like a pretty simple trade for Congress to negotiate: You want more power? You want us to trust you again, even after you made some of the worst decisions of the past decade? Fine. Then help us understand what you do and how you do it. Come out of the shadows.